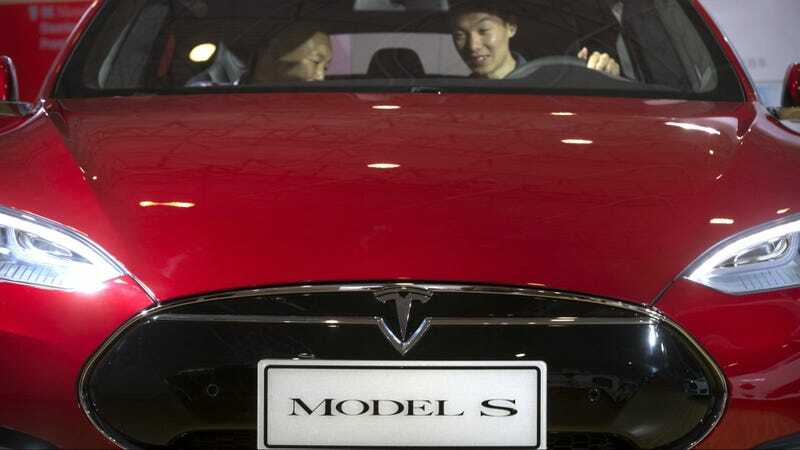 A team of researchers were able to wirelessly attack a Tesla Model S and gain control over some of its internal electronic components including the car’s brakes. And they pulled it off from 12 miles away. The hackers are able to wreak havoc over the Tesla they are testing. Besides slamming on the brakes, they were also able to control the windshield wipers, unlock doors and open the trunk.—all with a few keystrokes on a laptop. These hacks yet again prove the age old principal that anything, seriously anything, can be hacked. Hacking a Tesla isn’t exactly new, but this seems to be the first time researchers were able to gain so much control over the car from so far away. The hack does require some prerequisites though. The car must be using the built in browser and be connected to a malicious wi-fi network, but that’s not exactly out of the realm of possibilities for an everyday Tesla driver. The research team sent the vulnerabilities they found to Tesla, who issued a security patch to fix the exploits.